The editor of Gloom Bloom & Doom Report told CNBC-TV18 that contrary to the popular opinion that emerging markets have performed poorly in 2016, any market outside the US looks very attractive now especially in terms of valuations. Investors are too bullish about the US, and are neglecting Japan and Europe, he said. Anuj: Are you happy that at least now we are moving away from money printing or do you think this is just one of those random rate hikes and in 2017 Fed will develop cold feet again. Your first thoughts? 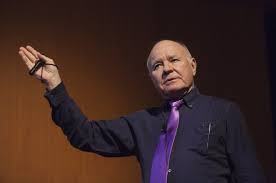 Marc Faber : First of all we need to understand that central banks they talk to each other. So, whereas the Fed is not expanding its asset base at the present time the Bank of Japan (BoJ) and European Central Bank (ECB) are still buying assets to the tune of approximately USD 150 billion a month. Some of that money that is kind of - as you would say printed in Europe and in Japan then flows outside Japan and Europe it causes the euro weakness, it causes the Japanese Yen weakness but it strengthens the US dollar and it strengthens the US assets. So, basically the central bank in the US the Federal Reserve they can have other central banks print money for them for a while and then in 2017 possibly the dollar becomes too strong and the US economy rather weakens than strengthens then they can print again themselves. They have an excuse. So, basically I still maintain that central banks will keep on feeding the world with excess liquidity.